Looking for Digital Leader (online safety) training? – It is here. Full, technical, hands on training for a group of pupils from year 4 upwards. The training promotes the computing curriculum by developing technical and cyber-security skills amongst students. It establishes good practice in school and reduces workload by resolving technical issues. The school receives a certificate once the training has been completed. Teaching staff are supported by pupil mentors in the classroom. Promotes high level thinking and project management skills. Ensures the use of ICT hardware is maximised across school. Covers cyber security including threats, software and passwords. Well maintained, fully charged and tidy laptops, tablets and desktops. No updates or reboots in lessons. 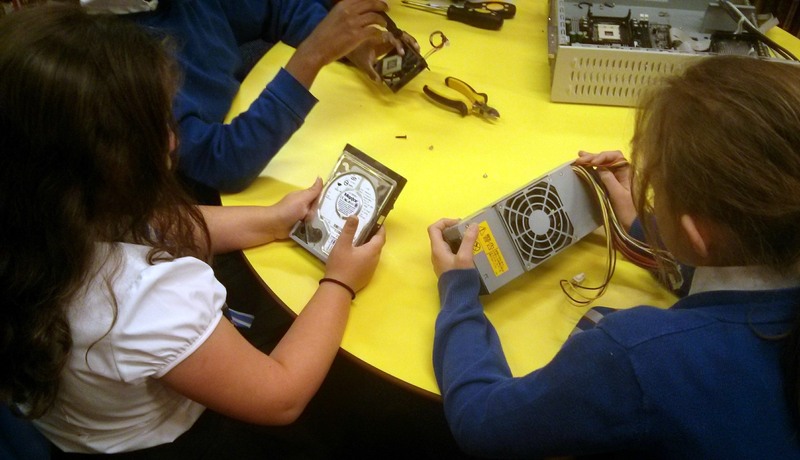 No ICT hardware is left in dusty cupboards! Effective reporting and logging of issues. A fantastic way to maximise to promote technical excellence with your students. A complete day (9am-3.30pm) costs just £480. A half day version of the day is available for £250. Book your training using the form below, email info@catshill.com or phone 01527 313 880. I am interested in booking a day of digital leader (computing) training for my school. Please send me more information.